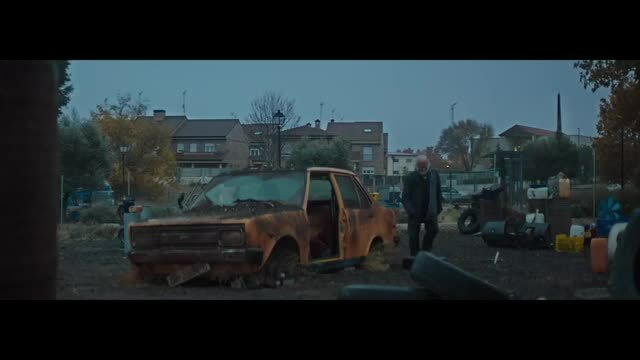 Director Rodrigo Garcia Saiz of Central Films, L.A., teamed with Madrid-based agency El Ruso de Rocky on this short for Platano de Canarias, an institutional brand marketing bananas from the Canary Islands. The six-minute spot is a continuation of the “Savor every day” campaign, which was first launched in April 2017. Titled “El Regalo” (“The Gift”), this latest piece aired in full on broadcast with additional media buys across cinemas, digital and social media. The heartfelt spot peers into the special bond between a little girl and her grandfather from the simple moments chatting and snacking on a banana, to the little girl breathlessly anticipating the school bell at the end of each day to rush to meet her grandfather and embark on their daily adventure. The pair go hand-in-hand not to the playground, but rather a junkyard where each afternoon they transform a scrapped old car into a magic vehicle that transports them to any time and place that their hearts desire. The cinematic vignettes capture the beautiful moments of genuine friendship gleaned through countless shared escapades as the duo gallop along vast countrysides, explore the Moon as astronauts and dodge a monster (a personified version of her own stuffed animal) in dark woods. The girl’s parents regard the adventures with little concern as they carry on with their daily responsibilities. One day, though, the grandfather doesn’t come to pick her up at school. Her father is there instead. Saddened at the passing of her grandfather, she writes Santa, wishing for a new co-pilot with whom she can share special adventures. Her dad reads the note and fills the void as we next see him accompany his daughter to the junkyard for a journey in the magical car. Client Plátano de Canarias Agency El Ruso de Rocky, Madrid Angel Torres, Lucas Paulino, creative directors; Miguel Novillo, copywriter/art director; Mariano Tome, head of production; Hector Palacio, producer. Production Central Films Rodrigo Garcia Saiz, director; Unax Mendia, DP; Oscar Cabanas, exec producer/producer; Raul Garcia, exec producer. Editorial Autonautas Javier y Jose, editor. Postproduction/VFX Marte VFX Jaime Aguirre, post producer; Santi, VFX; Blanca Escudero, VFX producer. Music Oeomusica Hernan Carnavale, music producer. Audio Post estudioslapanderia Javier Teruel, audio post producer.